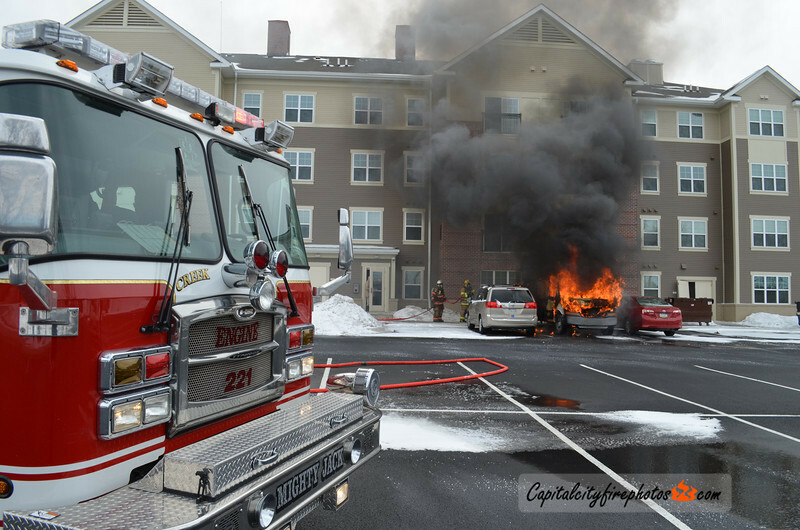 East Pennsboro Township, PA - Box 21-02 toned out around 1430 hours for a reported van on fire at 150 Erford Road in the Overlook Apartment complex. While units were enroute the box was upgraded to a van on fire five feet away from an apartment building. Engine 2-21 (Creekside) arrived with smoke showing and laid a supply line to side C where a commercial van was fully involved and exposing on a nearby minivan. Two lines were pulled to knock down the bulk of the fire. There was no extension to the building.